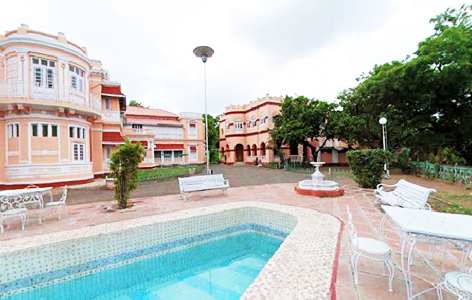 "The Rajvant Palace resort is one of the best hotels in Gujarat. It is a part of the Vijayraj Palace complex constructed in the year 1915 by Maharajah Vijay Singhji. 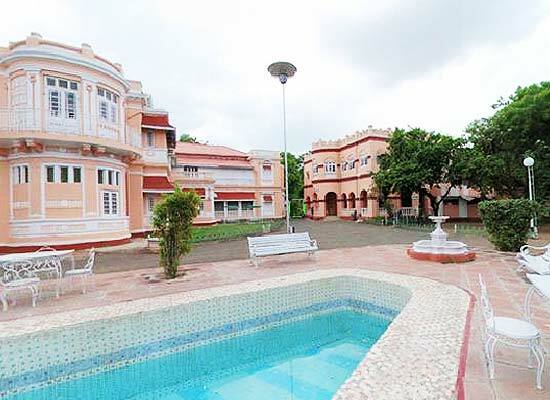 The Rajvant Palace Resort boasts a typical European architecture with features that are an integral part of any European mansion. Features of the hotel architecture like the Venetian doors, Greek capitals, Romanesque dome, Gothic arches and classical columns impart a mesmerizing look to the hotel. 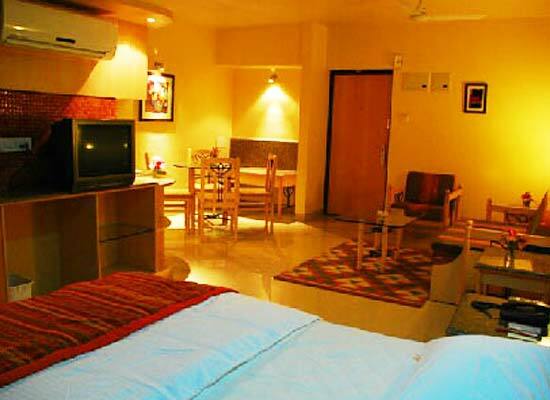 The various hotel facilities will pamper you in such a way that you will really feel someone special. The hotel is also added with a museum which exhibits mirror, portraits, trophies and works of ceramics, textiles and glass. 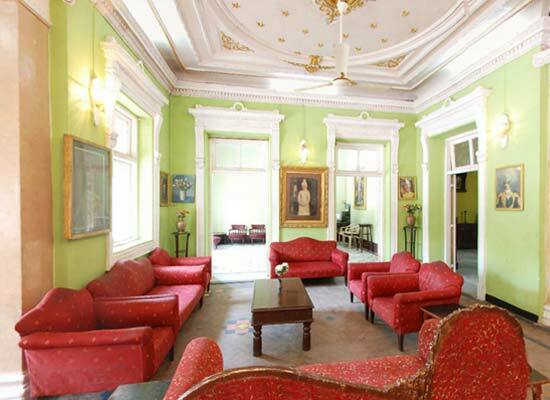 Hence, a stay in this exquisite hotel will surely be a wonderful experience for the guests. The dining experience of the hotel will also be a great one. Equipped with two restaurants, Rajsheesha and Raj Aaiana, you will get the best dishes according to your preferences. These restaurants offer a variety of dishes like Continental, Indian, Chinese, non-veg and veg dishes. You can also enjoy the variety of meals and snacks while relaxing at the lawns or at the poolside. The Rajvant Hotel is well-equipped with business and conference facilities to make it a viable option for business travelers. The conference hall with a capacity of 24 persons can host a number of business meets. The city of Rajpipla is located in the Narmada district of Gujarat. Previously, it was the capital of the former kingdom of Rajpipla. The beautiful city is often chosen as location for film shootings. Moreover, the presence of a number of tourist attractions in the city also attracts a number of travelers.